» Plant litter, soil, plants and fungal fruiting bodies 15N, 13C, percent C and N along Dalton Highway, Alaska 2004, 1990, 2007. For the 1990 collections the locations, methods of chemical analysis, and the stable isotope analyses are described in Schulze, E. D., F. S. Chapin, and G. Gebauer. 1994. (Nitrogen nutrition and isotope differences among life forms at the northern treeline of Alaska. Oecologia 100:406-412.) For the 2004 and 2007 collections, the methods of chemical analysis are described in Hobbie et al. (2009). Hobbie, J. E., and E. A. Hobbie. 2006. 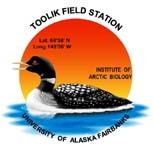 N-15 in symbiotic fungi and plants estimates nitrogen and carbon flux rates in Arctic tundra. Ecology 87:816-822. Hobbie, J. E., E. A. Hobbie, H. Drossman, M. Conte, J. C. Weber, J. Shamhart, and M. Weinrobe. 2009. Mycorrhizal fungi supply nitrogen to host plants in Arctic tundra and boreal forests: N-15 is the key signal. Canadian Journal of Microbiology 55:84-94. Soil samples in 2004 were collected by removing the intact whole leaves and collecting the decomposing top layer (litter) and the underlying 0-5 cm organic fraction. In 2007, a 10-20 cm deep, 6 cm diameter core was taken at a representative site next to known ectomycorrhizal plants. After collection, soil samples were immediately placed on ice and frozen within six hours. In the laboratory, each core from the 2007 transect was thawed and sectioned into three approximately equal depth organic layers and two approximately equal depth mineral layers for analysis of ergosterol, soil moisture, and soil organic matter. 15N analyses. The1990 collection was analyzed as described in Schulze et al. (1994). The Denali 1998 collection was analyzed on a Finnigan Delta-Plus linked to a Carlo Erba NC2500 elemental analyzer (Finnigan MAT GmbH, Bremen, Germany) located at the US Environmental Protection Agency in Corvallis, Oregon. Laboratory standards for isotopic measurements were pine needles (NIST 1575) and acetanilide. The precision of duplicate samples was ±0.2‰. The 2004 collection was analyzed at the UC-Davis Stable Isotope Facility with the same methods described in Hobbie and Hobbie (2006). Laboratory standards included peach leaves (NIST 1547) and apple leaves (NIST 1515). The 2007 collections were analyzed at the University of New Hampshire on a Finnigan Delta-Plus isotope ratio mass spectrometer coupled to a Costech CHN analyzer. Precision on duplicate samples was ±0.2‰. Concurrently run standards included acetanilide, pine needles (NIST 1575a), and apple leaves (NIST 1515). To express variations in the 15N:14N ratio for samples in a tractable form, they are referenced against a universal standard and calculated as δ15N values, defined as δ15Nsample = [(15N/14N)sample /(15N/14N)standard – 1] x 1000, with the standard the 15N:14N value of atmospheric N2, which, therefore, has a δ15N value of 0‰. Ergosterol. This fungal-specific sterol, a component of the cell membrane, estimates living fungal biomass in soils. See references in Hobbie et al. (2009). We modified the saponification methods described by Bååth (2001) and de Ridder-Duine et al. (2006) for HPLC quantification of ergosterol. In the laboratory, thawed samples were sectioned by horizon (e.g., organic and mineral), each layer sub-sectioned by depth, and each subsection sieved (2 mm screen). Duplicate or triplicate sub-samples (0.5 g) of the sieved soil fractions were saponified by heating for 90 min at 70C in 2 ml of methanol and 0.5 ml of 2 M NaOH after brief vortex mixing. After cooling, 1 ml methanol and 3 ml pentane were added and samples vortex-mixed for 20 s. Samples were centrifuged briefly to eliminate emulsions and the upper pentane phase, containing ergosterol, was collected. The pentane addition, extraction and centrifugation was repeated twice more, but with 2 ml pentane per extraction step. The pentane (upper) phase was collected and combined with previous extracts. The combined pentane extracts were dried under nitrogen flow, dissolved in 1.0 ml methanol, filtered through a 0.45 μm pore size PTFE syringe filter (Millipore, Corporation, Billerica, Massachusetts, USA) and injected into a Waters Acquity UPLC system with a binary solvent manager, a sample manager, and a photodiode array detector (PDA) (Waters Corporation, Milford, Massachusetts, USA). Separation was on an Acquity UPLC BEH C18 1.7 micron pore size, 2.1 x 50 mm reverse phase column maintained at 40C. A 5 µl injection of each extract was eluted with 92% methanol-8% water at a flow rate of 0.5 ml min−1. Using Millenium software (Waters) the UV spectrum of the ergosterol peak at ~2 min was compared with standard ergosterol (Fluka Company, St. Louis, Missouri, USA) and was quantified at 282 nm with calibration standards in the range of 0.05 – 20 ppm. Calibration provided linear fit (r2 &gt; 0.999) with standards in all runs with a limit of detection (S/N 3:1) of ~ 30 ppb. Spike recoveries determined by the method of de Ridder-Duine et al. (2006) are 82±4%, in agreement with prior literature values (Bååth 2001). Variance for duplicate or triplicate samples resulting from sample inhomogeneity, extraction, and instrumental sources were generally less than 5% and are calculated as standard deviation for each sample. Soil moisture was determined gravimetrically on a separate sub-sample by drying to constant weight. Soil organic matter was calculated from the loss in mass of the dry soil after heating at 500C for 12 hours. Version 3: Missing values changed to #N/A. CH 24 Jan 2013 Updated to newer metadata with site sheet. CH March 2013. Definition: Date of collection. For Schulze et al. (1994) it is August 1990 -- no other dates are given in paper.